Opening a high-end restaurant requires high-quality products. When it comes to premium kitchen equipment, TorRey Restaurant Equipment can be your best option. Torrey has proven for more than 40 years that they are the best choice when it comes to restaurant equipment. They have a handpicked team of engineers and technicians that are always looking to strive for excellence. The manufactured products in North America are unrivaled and are currently in use in more than 40 countries. In Torrey, you will get the proper product information during the presale and the best customer service during post-sale. A successful business does not need expensive equipment and furniture. You just have to plan for your business very carefully, do your research and buy what you needed. That’s where TorRey Restaurant Equipment comes in. The design alone is heavy duty and the energy consumption is very low. Chef’s Deal is the ideal place where you can get TorRey Restaurant Equipment. 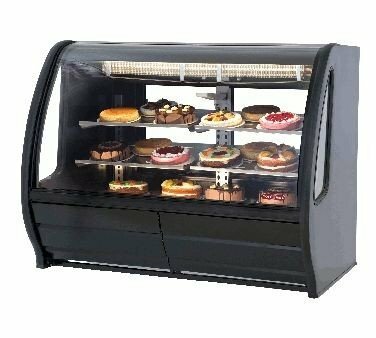 From Prep Tables, Refrigerated Deli Cases, Refrigerated Meat Cases, and Glass Door Vertical Coolers, we have it all. You should not blow a hole in your pocket when you are just starting your business. Chef’s Deal has financing plans that will suit you. You put up a business in order to earn money, not to impress your friends. You just have to put a down payment and pay the rest in a couple of months. Click the TorRey tab on Chef’s Deal website today. Shop for your restaurant needs and choose what you think is best for you. Because of TorRey’s successful innovations, competitors are trying and failing to keep up with this successful company. The product lines that you need might just found in the high-quality equipment of TorRey. Whether it is a refrigerator, freezers with glass doors, or chillers, TorRey is a one-stop shop especially if you are new to the restaurant business. TorRey believes that you deserve the best so they will deliver it to your doorstep. If you have any product questions, our team of experts who have handled thousands of restaurant owners can quickly answer them for you. We will keep you posted on product shipping and provide post-sale service whenever necessary. Small things such as answering how the product works, making sure that your refrigerators arrived on your restaurant or making sure that you are happy with your purchase is the key why customers keep coming back to TorRey. We consider your success as our success. Reasonable prices with different financing options for starting business owners are our edge from other competitors. Currently, there are about 200 manufacturers that supply Chef’s Deal. We believe that the portfolio of TorRey is what keeps us at the top of the brand game. Repeat clients and long-term customer relations are essential to building a successful line of business. We are a business so we understand what you are going through as a fellow business owner. Contact us today and let’s talk about your business needs.